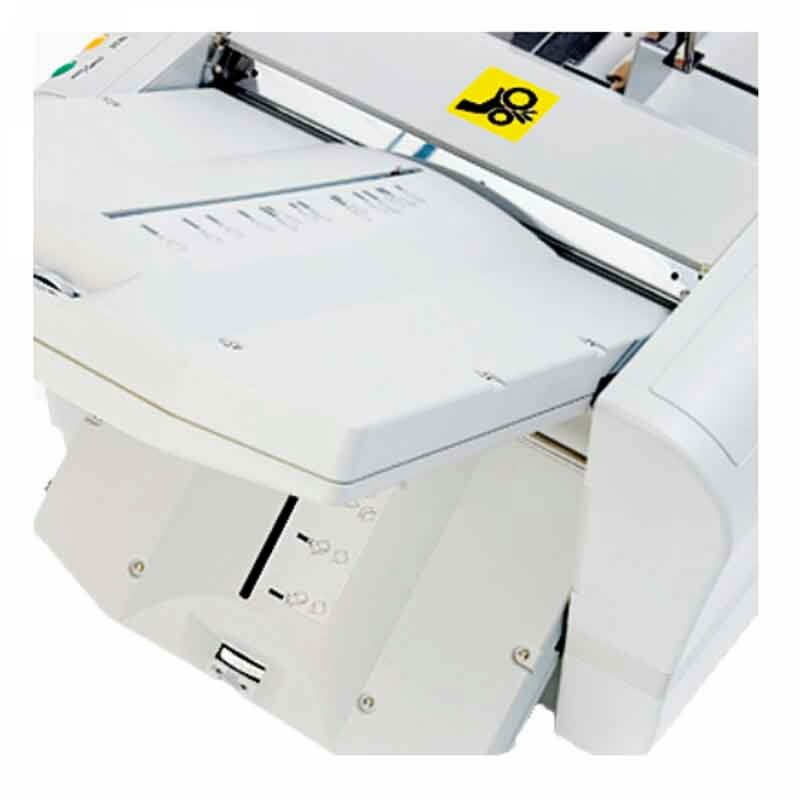 The MBM 0609 307A Automatic Folder saves time and money. 3 roller friction feed system. Pre-programmed with 6 standard folds. Stores 18 custom folds in memory. 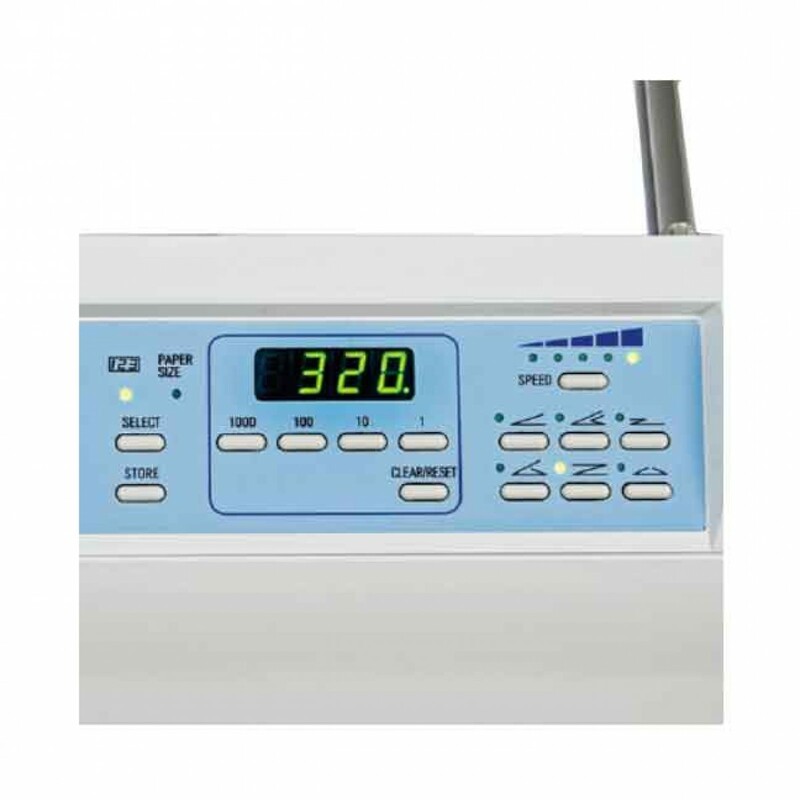 Control panel includes LED 4 digit counter with batch and total functions. Test button folds 2 sheets for inspection. Automatically senses and displays paper size. Extended exit tray for neat stacking of folded sheets. 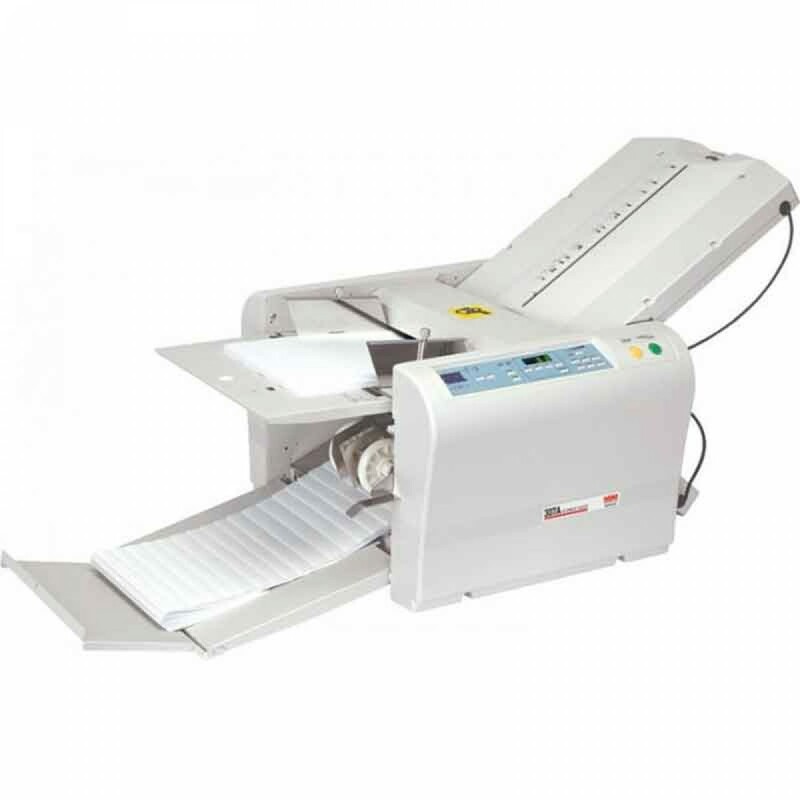 Automatic conveyor and self-setting exit rollers ensure smooth ejection of folded paper. 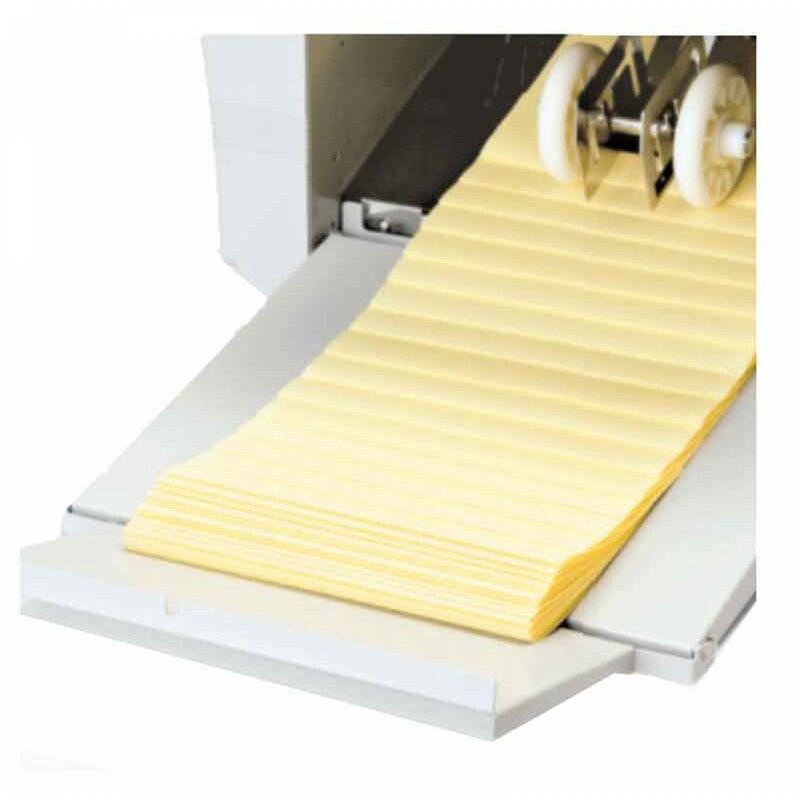 Single sheet feeding automatically maintained for different weights of paper. 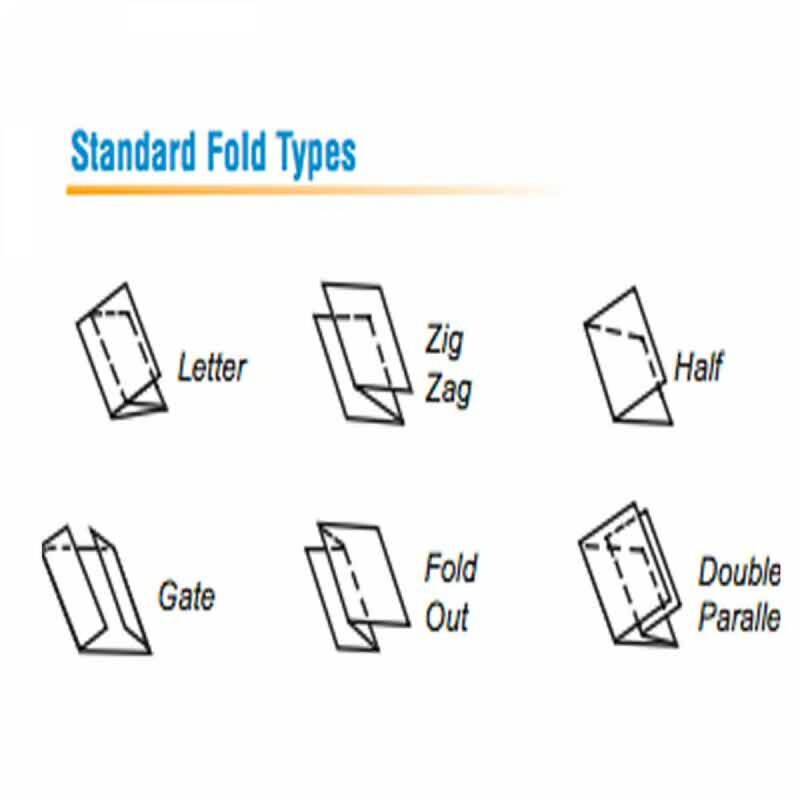 Auxiliary paper guide for cross folding. Load and unload paper from same side. Display alert and audible signal in case of incorrect operation. Skew and micro-adjustment dials. Fully enclosed fold tables for quiet operation. Quick-release roller system for easy maintenance. Optional perforator, and scorer. UL and C UL approved. Dependable automatic folder that comes pre-programmed with 6 standard folds. Up to 18 custom jobs can be stored in memory. Paper size -3 1/2" x 5" to 11" x 17"
Paper weight - 12 to 80 lbs. (D x W x H) 20 7/8" x 41 1/4" x 20"